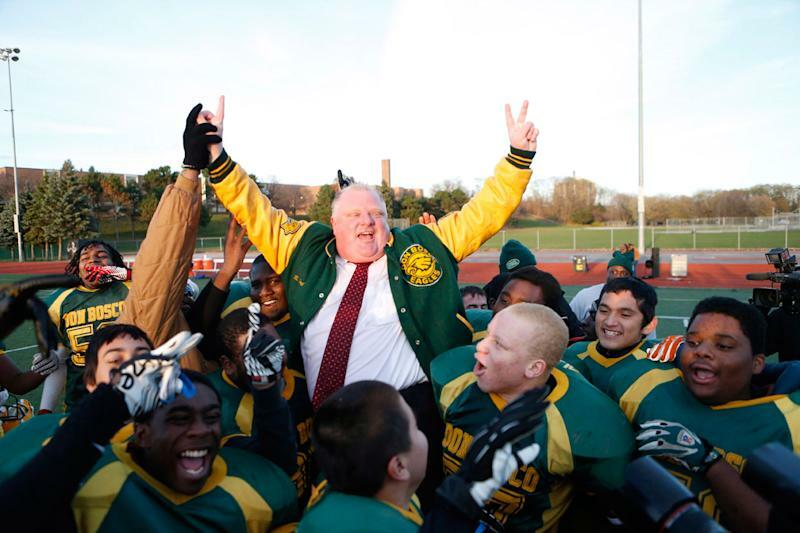 Will Toronto Mayor Rob Ford’s football sacrifices include his job? When the book is finally closed on Rob Ford's time as the mayor of Toronto it will read, without doubt or question, that he was willing to sacrifice for the game of football. He sacrificed his time to coach, and missed meetings despite the protests of some of his closest allies. He sacrificed money, and faced allegations of misusing both tax dollars and city resources. He has sacrificed much more. And next week we will learn whether he also sacrificed his job as mayor for the game he loves. The CBC reports that Justice Charles Hackland will release his decision on Monday in a conflict of interest case that could see Ford thrown from office. One wonders if Ford's attention will be on Monday's decision. The high school football team he coaches is set to appear in its championship game the following day. He may be too busy sketching out plays to pay attention to whether he has been thrown out of office. The case in question stems from $3,150 in donations to his football foundation he raised by using city letterhead and, allegedly, his clout as a city councillor. The city's integrity commissioner found the money to have been raised inappropriately and ordered Ford to repay it. Lawyer Clayton Ruby argued that Ford's decision to participate in a debate over whether he should be forced to pay back that money constituted a conflict of interest punishable by expulsion from city hall. Is it likely to happen? It depends on who you ask. Justice Hackland does have the authority to expel Ford from office, should he find it warranted. The judge could also block Ford from running in the next election. But even if Ford is found guilty of breaching the Municipal Conflict of Interest Act, he could simply face a lesser punishment. If the violation is found to be a simple error in judgment, Ford could retain his post. And that is if he is found guilty at all, which Ford's lawyer does not expect to happen. According to the National Post, Alan Lenczner argued that the original decision to order Ford repay the donation was wrong and it therefore didn't matter whether Ford participated in the following debate. The Toronto Star reports that city hall will face some tough questions if Ford is removed from office. Deputy Mayor Doug Holyday told the Star he expects he would assume the mayor's duties under those circumstances, until a by-election could be held to replace him. The other option would be for council to appoint one of their own as a "caretaker" mayor, avoiding an expensive by-election and likely putting an end to Ford's agenda. This uncertainty is another of Ford's sacrifices to the game of football. Without the intention of being glib, it is tough to keep track of which of Ford's stew pots is boiling over this time around. A $6-million defamation suit against Ford wrapped up in court earlier this week, with lawyers arguing whether comments he made as a mayoral candidate to the Toronto Sun editorial board were defamatory toward restaurant owner George Foulidis. The CBC reports that Ford told the newspaper that a 20-year lease deal Foulidis cut with the city "stinks to high heaven." There was also a recent controversy over two TTC buses that were pulled from service and used to shuttle Ford's high school football team, the Don Bosco Eagles, home after a game. Ford says he had nothing to do with the decision to order shuttle buses, although he did call the Toronto Transit Commission's CEO to check on their whereabouts. The Don Bosco Eagles are the same team that Ford was coaching when he missed two hours of a city council meeting earlier this month, and part of an executive committee meeting before that. He has also said he will miss a meeting on Tuesday, when the Eagles appear in the Metro Bowl, a high school championship game. So while Ford has already hinted he won't be at council on Tuesday, it remains to be seen whether that is because he prioritizes his role of football coach over his position as mayor. Or because he isn't mayor anymore.